Finding the perfect cleanser for your skin type is never more important than in the hot summer months. Sweaty temperatures, extra sun and maybe even a little travel can make use feel like showering three times a day. For the delicate skin on our faces, finding the perfect cleanser that won’t strip moisture, but will still get the job done is essential. 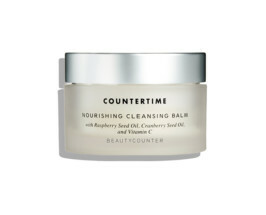 Beautycounter’s Nourishing Cleansing Balm | Beautycounter is slowly rolling out some game-changing new products with “safe” ingredients. They labor over formulas that don’t harm the body and still pack a punch of effective treatment. This new balm is an instant classic. Smack a little on dry skin, use the balm to gently massage skin clean (even eye makeup dissolves) and gently remove with a hot towel. Great for all skin types, even reactive skin. 100% Pure Lavender Seafoam Facial Cleanser | This incredible cleanser is like a clay mask in a face wash – powerful stuff! Despite being safe for the most sensitive of skin, this wash is so powerfully cleansing that we don’t recommend it for daily use. Keep this cleanser on hand for twice weekly cleansing if you’re skin is oily or if your skin is feeling out of sorts and irritated we love it as a one-off treatment cleanse to get things balanced out! 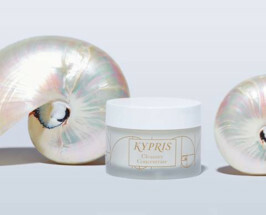 Kypris Beauty’s Cleanser Concentrate | Swoon over Kypris gorgeous packaging, then pop the top for an indulgent cleansing experience. We love cleansing balms for all skin types and if you’ve never tried one, get on it! This balm goes on luxuriously and leaves skin soft and in balance with probiotics, moringa and prickly pear extracts. 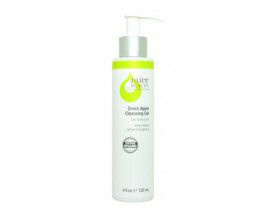 Juice Beauty’s Green Apple Brightening Gel Cleanser | Older gal pals we trust tell us they love this stuff for a gentle anti-aging experience daily. Lemon, apple and raw sugar purify and even out tone – perfect for those with a dull or sun-damaged dermis. Not recommended for those with easily irritated or sensitive skin. 37 Actives’ High Performance Anti-Aging Cleansing Treatment | This light serum-like cream cleanser is so packed with active ingredients we wish we could just keep it on our skin all day. Made free of all harsh and toxic ingredients, this cleanser is designed for mature and stressed skin types. Vitamin B and organic, plant-derived extracts mean this cleanser treats redness and unevenness while providing a hydrating cleanse. Contouring-lovers, use a makeup remover first to get the full benefits of the treatment. 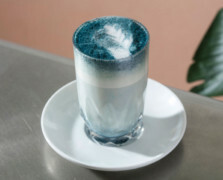 Share the post "Balms + Clays: The 5 Best Natural Cleansers for Every Skin Type"
So happy to see Kypris on the list! This is my absolute favorite skin care line. I’m obsessed with their 1,000 Roses Oil too–it will totally transform your skin.